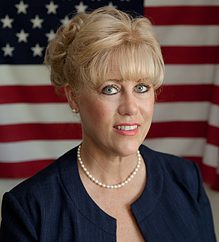 The Collin County District Clerk will have a contested primary this election season. The position is the head position of the clerks office, and has the duty to "protect the judicial records of the Collin County District Courts in compliance with the state constitution and state statutes." The District Clerk indexes and secures all court records collects filing fees, and handles funds held in litigation and money awarded to minors. They also compile the list of potential jurors for jury service. The District Clerk is responsible for issuing jury summons and maintaining a list of persons qualified or disqualified from service. And now for the candidates. . . .
Terrye Evans currently serves as the Court Coordinator for the 219th District Court. Terrye is committed to remaining vigilant and will commit her office to new technologies that will aid in everyday office practices. Basically working smarter so as to deliver the best work-product possible to Collin County’s citizens, lawyers, judges and other county departments. Terrye believes that, "we as taxpayers cannot afford to take the attitude that things are ‘good enough’. The District Clerk’s office should be in a continual state of improvement, working smarter to make customer and citizen interactions positive and helpful, rather than perplexing and puzzling." 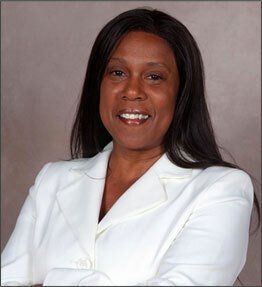 More about Terrye and her plans for the office can be found on her campaign website at www.electterryeevans.com. Alma Hays begun her career at the District Clerk’s Office. She is a graduate of Grayson County College with an Associates Degree in Business. Alma has worked as Paralegal and Office Manager for the Law Offices of Michael Sloan, a Court appointed Visitation Supervisor for children with at risk parents, and a Texas Supreme Court Process Server. "I have developed a plan for moving the District Clerk’s Office into the future. I intend to incorporate a more progressive management style within the District Clerk’s office regarding the training of both management and staff, stressing the importance of customer service and effective use of technology. The result will be a more professional, efficient and customer oriented office, something that any taxpayer should expect and deserve." Patricia Wysong Crigger has served for 23 years in the District Clerk’s Office, the last 14 as Chief Deputy District Clerk. She holds a BBA from the University of North Texas. "The District Clerk’s Office is effectively managed and fiscally responsible. As the old saying goes, ‘If it ain’t broke, don’t fix it.’ While our county continues to grow, so will the challenges faced by our office. This is not the time to change management on a whim. More information about Patricia Wysong Crigger and her plans for the office can be found on her campaign website at www.votecrigger.com.